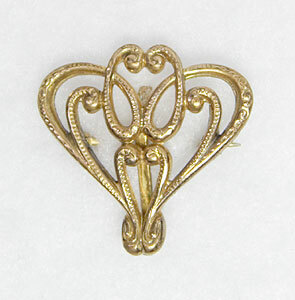 This gold filled antique art nouveau watch pin is crafted in the shape of a heart or butterfly or a combination of the two. The gold is hand-chased to create a textured look. 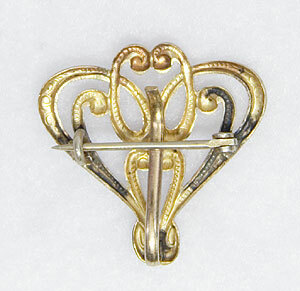 The pin measures approximately 1” tall and 1” wide. Circa: 1910.